What would you change about the appearance of your teeth if you could? Perhaps your teeth are discolored or have chips and other damage to the enamel. Maybe they are worn down, making them appear short or stubby. Maybe you have gaps between your teeth. Maybe your teeth are slightly crooked. There’s a solution to all of these common cosmetic concerns, and it’s the secret behind the flawless smiles of many of Hollywood’s biggest celebrities – porcelain veneers. You might be surprised to learn that porcelain veneers are more affordable than you might think and don’t require a trip to California to have them placed! Dr. Adrian Vande Merwe, your family dentist in Bountiful, Utah, is skilled in the art of placing porcelain veneers and can give you the smile you’ve always dreamed of. A veneer is a thin shell of porcelain that is placed over the top of your own teeth. The translucency of the veneer allows your own teeth to show through just slightly, and the porcelain reflects light in such a way that the veneers look completely natural. At the same time, veneers conceal many of the most common cosmetic concerns of dental patients. Placing veneers can be done using different methods. Some require the removal of a thin layer of enamel, and others allow the veneers to be placed right over the top of your enamel. Dr. Merwe will consult with you and provide advice as to which option is right for you to give you the results you want. As long as you have healthy teeth and gums with no areas of decay, porcelain veneers are likely to be a good option. 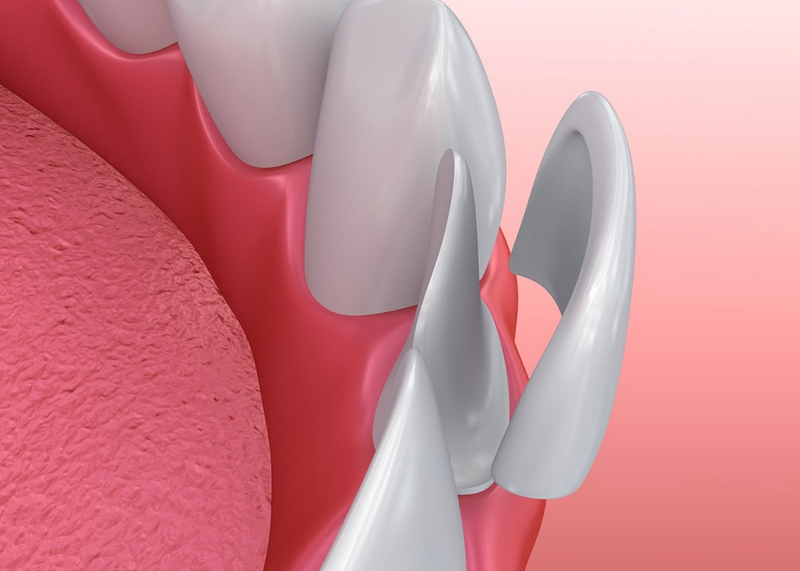 Even if you have a condition that may prevent veneers from being placed right now, we can work with you to create a treatment plan to ensure that veneers can be a part of your future. Call our Bountiful dental office today to schedule your appointment with Dr. Merwe. He will perform a thorough examination, discuss your dental goals with you, and recommend a plan of treatment. If veneers are right for you, we’ll take photos and impressions in order to craft your veneers so that they are perfectly customized for you. Before bonding your veneers to your teeth, we’ll show you what your final results will be so that the decision is always in your hands. Contact our office today to get started and get ready to have an attractive smile that you can’t wait to show off!